Killer Characters: Great reads from Killer Characters for June 2014! Great reads from Killer Characters for June 2014! June is a sweet time for a great read from Killer Characters! Summer is here! During June and July, we're having a Cozy Days of Summer Giveaway! You could win a book or some swag. Scroll down to see the details and today's prize. When her fashionable Manhattan restaurant goes under, Sophie Taylor retreats to her grandmother’s cozy shop, Auntie Rose’s Victorian Tea House, where serenity is steeped to perfection in one of her many antique teapots. 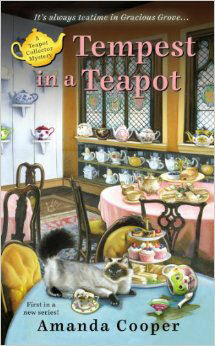 The last thing Sophie expects is a bustling calendar of teahouse events, like her old friend Cissy Peterson’s upcoming bridal shower. When Angela Braddock enters her quilts in an Amish auction, she never expects one of her neighbors to end up going, going, gone. Angie is finding her niche as the new owner of her late aunt’s Amish quilt shop, Running Stitch. But as the summer is winding down, so is business. 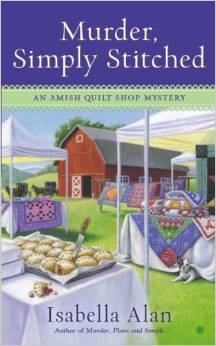 To bolster support for the shop, Angie decides to sell her quilts in the Rolling Brook Amish Auction, including some of her aunt’s most prized works. The quilts promise to be a hit—but the gavel comes down on the lively event when Angie stumbles upon the body of township trustee Wanda Hunt behind a canning shed. The cause of death: a poisoned blueberry fry pie from Rachel Miller’s bakery table. Now Angie’s closest friend is a murder suspect. With Angie taking the lead, she and the other women of her aunt’s quilting circle set out to patch together the clues and stop a killer set on shredding the simple peace of Rolling Brook. In the latest novel in the national bestselling Domestic Diva Mystery series, it’s beginning to look a lot like murder. The holidays are domestic diva Sophie Winston’s favorite time of year. But this season, there seem to be more mishaps than mistletoe. First, Horace Scroggins tumbles from a balcony during his office Christmas party. Then, Sophie’s neighbor takes a fall from his ladder while decorating his roof with lights. But it’s the cookie swap that really starts her wondering who’s naughty or nice. Sophie arrives at the annual event with high spirits and thirteen dozen chocolate-drizzled gingersnaps. But when an argument erupts and a murder ensues, it becomes clear that the recent string of events is anything but accidental. Now Sophie has to make a list of suspects…and check it twice! Embroidery shop owner Marcy Singer is about to have the rug pulled out from under her. Marcy can’t wait to see the new exhibit at the Tallulah Falls museum on antique tapestries and textiles, including beautiful kilim rugs. But her enthusiasm quickly turns to terror when, the day after the exhibition opens, she discovers a dead body behind her store, the Seven-Year Stitch, wrapped up in a most unusual fashion. The victim appears to be a visiting art professor in town for the exhibit. Did someone decide to teach the professor a lesson, then attempt to sweep the evidence under the rug? Along with her boyfriend, Detective Ted Nash, Marcy must unravel an intricate tapestry of deception to find a desperate killer. THE DIVA WRAPS IT UP. ALL of these books are on my to-be-read list. Can't wait until they are available! What a great contest idea...will be checking back every day for sure. It's such fun to enter when the book is on my wishlist! What a wonderful summer treat! 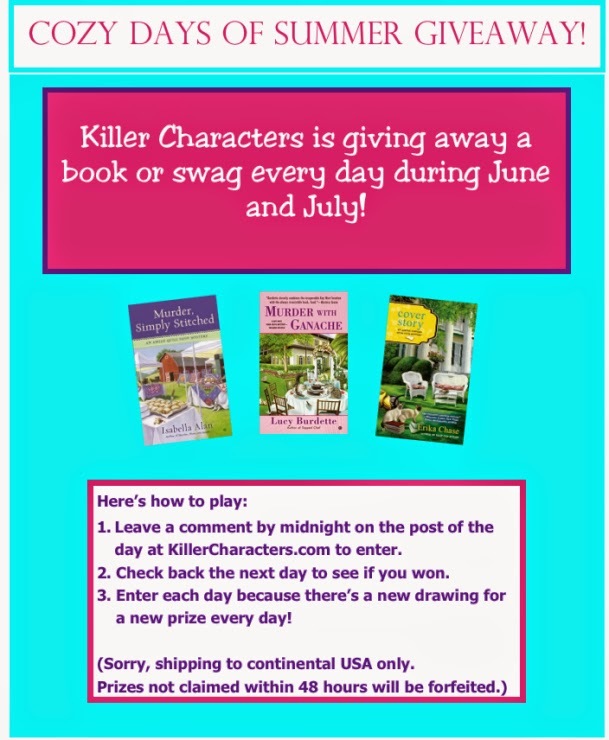 Love the idea of a summer book contest. LOVE these daily giveaways!!!! & this one lasts 2 WHOLE months!! woohoo!! What a wonderful event-just like Christmas! Thanks for the chances to win! Oh, there is going to be tug of wars between my sister and me this month. I can see it already. What a fun contest. All these books sound interesting, but I'm a big fan of The Diva series. Keeping my fingers crossed. This is so awesome I would love to win any of the books but I am a fan of the Diva series and would love to win. 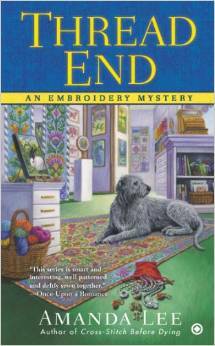 Love love cozy mysteries....such a fun contest! Lots of great cozies!! 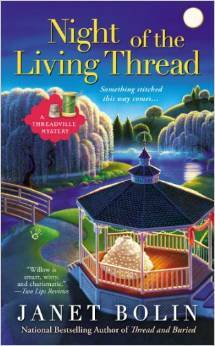 Im currently reading "Thread End" by Amanda Lee and I'm really enjoying it! I've already ordered it, but good luck to the others. All preordered. Can't wait until they come! 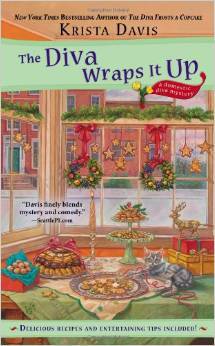 I would love to read The Diva Wraps It Up±thanks for the opportunity to win a copy! Thanks for such a nice contest, I have all of these books on my ever growing tbr list. I love the Diva series (I get a kick out of the question/answers at the start of the chapters). Can never have enough cozy mysteries. My favorite genre. How fun! So many chances to win so many great books. Happy June! Thank you for the contest. I love to read cozies. What a wonderful (and generous) way to kick off summer. All those books look fabulous, so thanks for the chance to win! Thank you so much for the great summer giveaway! Thank you for having such a fabulous contest. I have all these books on preorder. What a great giveaway! 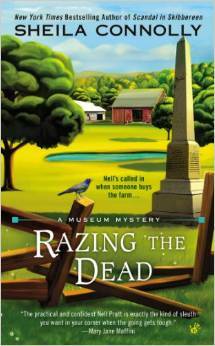 I love cozy mysteries, especially in the summer. They're perfect for camping trips, a day at the beach/pool, or just reading in the backyard swing. So many new books, so little money. What a great giveaway. I have all of these books on my wish list. So many wonderful books coming out in June! Looking forward to Tuesday when they all arrive (don't you just love Kindle's). Thank you for the great information on all the new cozy mysteries! Have a great Sunday evening! Great looking books! Must add to my TBR pile! It would be really great to win one of these books! I'd love any of these books! I love Krista Davis' Domestic Diva series! Sounds like a bunch of fun for the next several weeks...thanks for chances to win some awesome books and/or swag. Thank you for the opportunity to win these fabulous books ! Thanks for the opportunity - would LOVE to win!!! I can't wait for each & every one of these books to come out! Thanks for such a great giveaway too! Thanks for the chance to enter your giveaway. This sounds like a fun month. Lots of good reading - thanks for the chance. I love all these series. I just discovered this blog. Neato! I will be back every day for sure to check out the new prizes ! Thanks for the chance at another wonderful giveaway! Always love to receive a new book!! Love sitting on the deck with a cold drink and a killer of a book. What a wonderful summer idea. Free books, great reads and new authors to fall in love with.